Homepreschool and Beyond will give parents the knowledge they need to find “balance” for their family. Find out what young children need to know—and how to teach it. Gain the confidence you need to relax and enjoy those precious preschool years—and beyond. If you are enjoying this blog, then you’ll love my book, Homepreschool and Beyond! Click on the image above to purchase. Anti-Homeschooling Excuses: Are they Valid? Last Chance to Buy Your Own Copy of Homepreschool and Beyond!! Hello, subscribers and friends of Homepreschool and Beyond! I know it’s been a long time since I’ve posted, and I apologize for that. I am planning on doing better! But for now, I have some important news to share with you. My editor has contacted me to tell me that my book, Homepreschool and Beyond, will go out of print as of January 31rst, 2016 , kn both paperback book form and inn Kindle form! So if you’ve been waiting to buy your own copy, you’d better do it right away! I do intend to purchase a limited number of copies to sell, but I haven’t decided exactly how to make them available, and I don’t even know how many are still in existence…so I’d encourage you to buy your copy now. Don’t forget to buy copies for your friends or kids (for your grandbabies), either. It really makes me sad that the book didn’t do better. To me, the chapters on art, music, and games alone make it worth it–not to mention the huge book list (and entire chapter!!) I guess the developmentally appropriate approach just isn’t popular in today’s culture. Many parents want to push their children along, ready or not. Nevertheless, I will continue to encourage parents to let their children learn at their own pace, emphasizing the three R’s: Relationship, routine, readiness, and reading aloud, along with activities in art, music, science, and more. Preschoolers can learn so much, and Homepreschool and Beyond shows you how to teach them. Please be praying for me as we begin this transition. There is more news coming soon! NOTE: While a lot of information can be passed along on the blogosphere, nothing compares to talking in person, looking at curriculum and resources with your own eyes, and enjoying the company/encouragement of other parents who are in the situation that you are!! If you can’t attend our meetings, search for meetings in your area. You can check with your local homeschool support group or your private school satellite program; you can also check for groups under the names of “Considering Homeschooling” or “Exploring Homeschooling”. Christian Families and Halloween: Do They Mix? Halloween is usually associated with “innocent fun.” I celebrated Halloween as a kid…who didn’t? We went around the neighborhood with a mixture of excitement and fear. My dad and brothers were really into it. One year, my dad rigged up a crane of sorts that could be controlled from the inside of the house. When children approached the door, they used it to drop down a scary looking dummy right in front of them. Another year, our church (yes, our church) put on an adult Halloween party. My brothers helped decorate a barn for the occasion. They somehow got a coffin in the center of the barn with a scary looking dummy inside. They rigged it up so that the coffin opened and closed, and if you touched it, you got a mild electric shock. Now that I’m an adult, I hate Halloween. We don’t celebrate it, my children don’t dress up, and they don’t “trick or treat.” We don’t even answer the door. I refuse to celebrate a “holiday” that glorifies witches, demons, Satan, and evil. Many parents tell their children that these things are just “pretend.” Really? I don’t know about you, but I can’t tell my children that witches and demons aren’t real. And ghosts? I believe that what most people think of as “ghosts” are really demons. I wonder about the spiritual repercussions of Halloween as well…especially in regards to preschool-aged children. I don’t know about you, but I don’t want our young, impressionable children thinking about monsters, witches, and demons. I hope you understand how terrifying they are to preschoolers…especially since we honestly can’t tell them that they are pretend. What might that lead to? Bad thoughts? (Certainly.) Lack of faith in the protection and power of God? Bad dreams? Spiritual oppression? Interest in the occult?! Maybe. Can we risk that?! Other things I hate about Halloween: I hate that I can’t even go out to eat or to the grocery store without exposing my children to scary things that glorify the devil. In fact, I avoid taking the kids shopping or even out to dinner this time of year. I hate the feeling of spiritual oppression that comes over me this time of year. I hate that Halloween is imposed on me (I don’t knock on my neighbor’s doors on Christmas and demand a present upon risk of playing a trick on them.) I also hate what Halloween teaches children: That it’s OK to knock on the doors of strangers and take candy from them; that scary, evil things are real, acceptable, and fun. But most of all, I hate Halloween’s roots and what it represents spiritually. In my opinion, Halloween is not a Christian holiday and should not be celebrated by Christians. I believe that as Christians, we should teach our children that evil is evil, and it is to be avoided. Not only are we to avoid evil, but even the appearance of evil. Part of our responsibility as parents is protecting our children’s innocence and their thoughts, as well as teaching them to control and protect their own thoughts as well. Below are some links that better explain what the Bible has to say about such things, how the “holiday” got started, and what Halloween really celebrates. The last two links will take you to You Tube videos, where a former witch shares why Halloween is not for Christians. I hope you will prayerfully consider the information, and pray about your family’s decision to celebrate Halloween—or not. © 2010, 2011 Susan Lemons all rights reserved. Copyrighted materials may not be re-distributed or re-posted without express permission from the author. Note: This is a classic post that originally appeared on my Home School Enrichment blog several years back. I’ve updated it, hoping it will encourage you. Thanks HSE, for giving permission for me to re-post it! Have you been thinking: “Here it is, only October, and I already feel like a failure as a homeschooling Mom?” I feel a little like that right now, too. It seems as though September was nothing but one interruption after another. We had one child struggling with an ongoing illness, along with all the requisite doctor appointments; we had unwelcome guests in our house—two mice—which meant traps, then cleaning and sterilizing; we ALL got miserable colds, and finally, we finished off the month with our annual off-season vacation. Not enough school has been completed! I already feel “behind”. My plans have been set aside, and my vision for the first month of the school did NOT come true. What should you do if your year has started like ours? First of all, and especially if you are new to homeschooling: Realize that “some days are like that.” Actually, some months are like that. I always tell new homeschoolers that the hardest part of homeschooling is not the academics—it’s life. It’s dealing with interruptions, illness, errands and laundry. This is a normal part of homeschooling that we all must learn to deal with. If this is your first year of homeschooling, you are probably finding that out. Another thing you may be learning is the pain of unrealized expectations. They can be heartbreaking. Many homeschoolers, especially new ones, envision the “perfect homeschool”: Cheerful, obedient children who love to learn; a patient, totally organized Mom whose lessons plans are legendary and always completed, and of course, a house that is always perfectly clean and beautifully decorated. It’s hard when our dreams don’t match up with reality. -Pray and ask the Lord to renew your enthusiasm about homeschooling. Ask the Lord to give you HIS vision for your homeschool, and the bravery/grace to be able to follow it. -Take an eternal perspective: Remember that this time at home with your children is just a “blink” compared to eternity. We want our children taught in the way that most benefits their eternity—and that is homeschooling. So we can’t give up!! -Feel behind? Ask yourself, “Behind WHO?” Remember that the public schools expect too much of young children, and not enough of older children. A realistic goal is steady progress (slow and steady wins the race.) Preschoolers and Kindergarteners need time to build a foundation of basic knowledge about the world, and a wide vocabulary before they are introduced to academics. -Re-examine your expectations. Are they appropriate? Often new homeschoolers spend TOO much time daily, and expect TOO much from their children—especially YOUNG children. -Re-examine the readiness issue: Has what you’ve been expecting of your young learner been inappropriate? Is your child resistant? If so, perhaps you need to back off a little. -Consider shortening your lessons, doing more work orally, and generally “lightening” your load. Charlotte Mason says that short lessons actually build children’s attention spans. After all, it is better to have your child fully engaged and paying attention for a short lesson, than having him squirmy and inattentive for a long lesson. We want our children to look forward to school, so keep them begging for more. -Make homeschooling your priority. Schedule everything you can around it. Don’t let the phone or appointments take you away from school time, unless it is absolutely unavoidable. Take the phone off the hook if you need to, or turn off the ringer. Set your cell phone to silent. -Plan time for the fun stuff: I know this doesn’t make sense if you feel “behind”; our tendency is to double the school work, instead. Resist that temptation or you and your child will quickly become frustrated and burn out. Instead, plan the time you need to enjoy art and music with your children. Art and music are more than just “extra” subjects; they teach skills vital for young children. Furthermore, they lighten the mood in your home, make learning fun, and give you and your children the opportunity to feel successful. -Start over: If you are new to homeschooling and feel as if September has been a bust, give yourself a chance to start over. Give yourself grace! Count the days you have already done as “practice”– time to break into your school routine, and get the “kinks” out. Then, start over. That’s right, start over from right where you are, only adding the necessary adjustments. 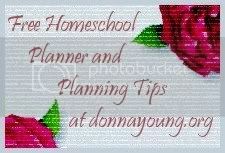 -Get support: Do you have the support that you need to homeschool? If you haven’t connected with a Christian homeschool support group first, do so right away! Connecting with a Christian support group and participating in the activities/supportive meetings they offer can make the difference between homeschool success and burn-out or giving up. It can even make the difference between sanity and insanity!! -Finally, remember that whenever God calls us to do something, He always gives us the knowledge, strength and abilities we need to complete the task. Don’t let a rough start make you reconsider your decision to homeschool…don’t give up. Just start over! Implement some of the changes I’ve suggested, and hang in there. It does get easier. It really does, I promise. © 2010, 2014 Susan Lemons all rights reserved. Copyrighted materials may not be re-distributed or re-posted without express permission from the author. What’s the big deal about play? Isn’t it….just play? This change in family dynamics seems to be a modern phenomena that affects all families, whether we realize it or not. Even families with preschoolers are often so busy driving their children from one adult initiated activity to another that little time remains for family and playtime. In fact, many parents feel guilty if they do not keep their children busy this way. They seem to think that these “enriching activities” keep children busy, happy, and learning. But the reality is, this “busyness” is stopping us from giving our children what they need most: Time to develop close bonds with family members, and time to play. Through block or building play, preschoolers learn: Shapes, sizes, pre-math/math skills, thinking skills, cause-and-effect, planning skills, one-to-one correspondence, counting skills, and more. Creative play is what we used to call “dramatic play.” It’s the type of play your child is engaging in, either alone or with others, when they take on the “role” of another–a mother, a dad, another person in the family, a super-hero, a doctor, a policeman…you get the idea. Through such play, preschoolers learn: Social skills, emotional skills (they use play to work out their emotions and practice appropriate social reactions, and so on), as well as speech/vocabulary skills, thinking skills, and more. Through manipulative play (puzzles, Duplo’s “fit together” toys) preschooler’s learn: Spatial awareness, size/shape awareness, matching skills, eye-hand coordination, thinking skills, planning skills, pre-math/math skills, colors, and more. Through outside/physical play, preschoolers practice coordination, large and small-muscle strength and control, “sport” related skills, and let out pent-up emotions. Outside play is often combined with creative/dramatic play for increased learning. Outside playtime is also key to physical fitness. Additionally, much has been said of late, about the need for children to get out into nature. Richard Louv, in his book, “Last Child in the Woods: Saving Our Children From Nature-Deficit Disorder,” makes a strong case for children’s need to spend extended amounts of time in nature (not in suburban areas, but in “wild” areas.) I think time “in the woods” is good for our souls. Other activities that I emphasize for young children are art and music. Art and music are more than just “extra curricular” activities of little import. Rather, they are also key activities in the lives of children of all ages. You can learn more about the importance of music and see my specific recommendations when it comes to choosing good music, as well as a list of activities and skills, in the chapter on music in my book, Homepreschool and Beyond. You can find a much shortened version of that chapter HERE. What else do preschoolers learn through finger-plays and music? Preschoolers learn: Speech and vocabulary skills, grammar and language skills, small-muscle control, listening skills, counting forwards and backwards (through finger-plays), math skills (music is closely related to math, believe it or not), and more. Through listening to or participating in musical activities and musical play, preschoolers develop their “ear” for music, which is key to later skills involved in singing or playing an instrument–such as rhythm, matching pitch, and the intuitive “ear” for music. The truly amazing thing about music that should interest all parents is the fact that studies have shown that children who are involved in music do better in every other subject in school–and no one can explain why. And what about art? Art is important to children’s development for a plethora of reasons. Art, like music, is also important for self-expression, as well as the control and release of emotions. Through art, preschoolers learn: Through art, preschoolers learn cause and effect, colors and color mixing, small muscle control (which is vital for writing), pencil/pen control, eye-hand coordination, art appreciation, self-expression, and of course, art skills. Art experiences of all types are really “pre-writing” experiences. For a more complete list of what preschoolers learn through art, how to set up your house for art, a list of suggested supplies, as well as important things you need to know about talking to children about their art, check out the art chapter in my book OR read a very abbreviated version HERE. ~Now that you are aware of the value of play, be careful not to let play become an academic exercise. Once in a while, introducing a purposeful type of play (play with a learning goal at heart–what I call “playful learning” in Homepreschool and Beyond) is OK. But be careful not to do this too often. At its heart, play should be child-initiated and child-le. Be careful not to over-analyze your child’s play, watching for “what they are learning today.” Play for play’s sake is enough. ~Provide open-ended toys and props that your children can use in many different ways. If you buy a set of duplo legos or wooden building blocks, s/he could play all kinds of things! He could build a city, adding some cars to drive on the “roads”; add plastic animals and she could build a zoo, and on and on. It’s a good idea to avoid toys that need batteries; 100% kid-powered is better. For creative or “dramatic” play, children also enjoy the type of toys that allow them to act out adulthood or toys that make them feel powerful. That’s why dollies and cradles, play kitchens, cars and trucks, a doctor’s kit, and dress-up clothes (including “capes” for super-hero play) continue to be popular choices. ~Play with your children, but don’t assume a leadership role in their play. Instead, follow your child’s lead. ~Observe your children’s play: That’s what child development experts do! Watching your children’s play clues you in on their secret world. ~Children will play longer and play safely if you stay nearby to watch and give occasional feedback. Obviously it’s not safe to let your children play outside alone nowadays, so plan your days in such a way that you have free time to spend outside with your preschoolers, ideally for part of every morning and afternoon. ~Be “that Mom” or “that house” where the neighborhood kids gather. Many kids are drawn to the house on the block where a Mom or Dad is around, creative toys abound, and cookies or cool-aid is served. Really, the key is having parents around who care. (I’ve also seen that the reverse be true: The kids who are used to being totally unsupervised and who don’t want to obey our rules quickly stop coming over.) Most afternoons I have two to four children from the neighborhood either in my yard or in my house. This is a form of Christian hospitality that can even open the door for sharing the gospel. ~Try and offer your children opportunities to play outside, weather permitting, as often as possible. Outside play and exposure to nature are especially important experiences for children of all ages. Give your children plenty of time for unstructured. uninterrupted, creative play. They need it more than you can ever imagine. Check out these important links to learn more about the importance of play– in our homes and our homeschools. Note: Homepreschool and Beyond has a whole chapter on play, how to play with your children, how to choose good toys, and more. This post contains excerpts from the book, “Homepreschool and Beyond”; used with permission. © 2010, 2011, 2014 Susan Lemons all rights reserved. First of all, I have to make it clear that starting homepreschool–a deliberate, set-aside time to help our preschoolers learn–does not mean it is time to start formal academics. Study after study have shown that the current push-down in curriculum just doesn’t work. No study has shown any benefit at all to learning to read at age five or younger, versus learning to read at age 6, 7, or older—and in fact, studies have shown that children who learn to read later not only learn to read more quickly and easily than other children do, but they do better academically throughout their entire lives. This is because they spent their early years learning and doing real things instead of concentrating solely on formal academics. Next time: Important Skills to Develop, Fun and Games! © 2010, 2011, 2014 Susan Lemons all rights reserved. Portions of this post are taken from or similar to passages in Homepreschool and Beyond, used by permission of the author. Copyrighted materials may not be re-distributed or re-posted without express permission from the author. This next section of my three part series is going to be the toughest to stomach, but it is the most important. If you only read one part of this series, I hope you will read this part. Much of this I was already planning to post. In fact, the Lord has been convicting me to post it somewhere for a long time. It’s hard to do, because a lot of it is personal. First of all, I want you to know that I understand that the information in this series, “Helping Our Children Grow Close Relationships with God,” can be overwhelming. My blog can be overwhelming, and my book too, unless you approach it with the right attitude. You need to know that all the things I’ve listed in the previous posts of this series (and in my book) are ideas…lofty goals to work towards. So take the ideas I’ve shared as ideas, only. You get to choose which ideas will work in your home, with your children, and when. But don’t try to do them all (at least, not all at once!) You don’t have to do them all. You probably can’t do them all. And (here’s the important part): Even if you could do all these things, there is no guarantee that your children will grow up to have the close, personal relationship with God that you hope they will. The hard truth is, every child has free will, and can choose to live for the Lord—or choose not to. Many loving, Christian parents, who thought they did all the “right things”, including myself, have learned this the hard way, and had their hearts broken. I say this not to discourage you, but to give you a hard dose of reality. I feel I can share these things because they’ve happened to ME. My first child has rejected the faith and is living in a way that is not pleasing to God. My daughter is living for the Lord (praise God! ), but now differs from us doctrinally on a few points. And, if you met my youngest boys, you would know without a doubt that either my husband and I are imperfect parents (true), or my that my boys haven’t fully submitted themselves to God (yet!) They are not easy kids, and they never have been. They both have “flashes” that show me what Godly men they might grow up to become, but their behavior in-between those flashes, especially the way they get along treat each other, isn’t always pleasant. But we struggle along, anyway, doing the best we can, praying for them, teaching them, and never, ever, giving up. I still believe that homeschooling is the most Biblical way to educate children, and I still believe that it is the educational choice that is the most likely to produce the results we are hoping for (children who grow up to be Christians.) But those beliefs are tempered with the reality of the fact that there are “no guarantees.” It is our responsibility to do the best we can, but we must leave the results to God. If we have taught our children about the Lord from the time they are young, we can then claim the promises in God’s Word (the principles of sowing and reaping, the scriptures He gives us regarding our children, and so on.) HERE is a site lists many of the promises that parents can claim for their children, and HERE is another great site—scroll down for an awesome list of Bible promises regarding our children. -Remember that God has given your children a free will. As the old saying goes, “you can lead a horse to water, but you can’t make it drink.” We can share the Lord with our children their whole lives without result. Some children choose not to submit themselves to God. Others say they have, but their behavior shows that they are not regenerated (not new creations/not living for the Lord as they should.) Others still may out and out reject the truth we try so hard to instill into them. Pray that your children would have soft hearts towards the voice of the Lord, and would come to salvation at an early age. Pray that they would be able to discern truth from lies. Ask the Lord to open their spiritual understanding. -Remember that your children are watching you. Set a good example for them. Rebellious children will look for any weaknesses or inconsistencies in your life, and use them to justify their own sin. They will see you as a hypocrite, and call you on it. “Do as I say, not as I do” doesn’t cut it. Try to live what you teach, so that this doesn’t happen. Ask the Lord to change you, grow you, a help you become more like Jesus. -Remember that we can’t be our children’s Holy Spirit. It’s not our job. You can’t convict your children of sin, or of their need of God, and so on, anyway. Only the Holy Spirit can do that!! We can communicate our beliefs, thoughts, and personal conviction to them, but it is ultimately up to the Holy Spirit to deal with them. Pray that your children would be sensitive to the voice of the Holy Spirit, and that they would be doers of the Word, not hearers only. -Be careful not to make your children or your family an idol. Whatever you esteem, value, or think about the most becomes an idol. Don’t get so caught up in the lives of your children that you neglect your own spiritual life. -Beware of parental pride: If you find yourself looking around at other parents whose kids are struggling or whose children have turned away from the Lord, and you are assuming that yours won’t, because “you’ve done everything right…everything you are supposed to….even homeschooled them”…then be careful. Pride is a sin. Pride is not pleasing to God. God says that He opposed the proud. You can be assured that if you are prideful about your children, at some time or another you WILL be slapped down…probably by own your children’s own behavior. -Be careful about your attitude towards other parents who are having struggles with their kids. Don’t assume that they are doing everything wrong, or that they must be “messed-up” or “bad parents.” In short, don’t judge them. Don’t shoot the wounded. For all you know, they have poured their hearts and souls into their children, only to see them do the exact opposite of all they had been taught. Instead of feeling superior or judging them, pray for them. Pray for their children to return to the Lord. Love on them, and encourage them. That’s it for the “reality check” for now. Think about these things, and examine yourself: Do any of these cautions apply to you? Do you have any attitudes to change? I will share some more specific things that are on my heart at a later date (Important Things to Teach Your Older Children–kind of a “spiritual lessons from the Mother of a Prodigal” type of post.) I’ll also share some important links at the end of this post. But for now, let’s go back to the “how” we can help our children learn about the Lord. Remember that if we do all that we can do to teach our children about the Lord, we can rely on the promises of God regarding our children!! Below is a list of the Bible story books and picture books that we have enjoyed. I’ve listed them by approximate age of usage. 6+ years: The Bible, itself. You can find a listing of all the major Bible stories to read straight from the Bible, Old Testament HERE and New Testament HERE. Of course, every family has its own favorites, and every child is ready to move up to the “more advanced book” in his or her own time. If your children have a Bible storybook that they really love, it’s OK to stick with it longer! The important thing is to get your children to know and love the stories and concepts in the Word. Read from a Bible storybook daily, and discuss the stories. Explain, in the simplest terms you can, what the stories teach us. Be sure to teach your children that these “story books”, unlike their other “story books,” really happened; they are TRUE. My very favorite devotional for little ones (three and four year olds) is Stepping Stones to Bigger Faith for Little People: A Collection of Family Devotions, by Joyce Herzog. Just right for preschoolers, this is a sweet book that explains difficult concepts such as forgiveness, the blood of the lamb, living without fear, growing in holiness, and lots more, in a way that young children can understand. Big Thoughts for Little Thinkers, by Joey Allen (titles include “The Scripture”, “The Mission”, “The Trinity” and “The Gospel”. Little Lessons for Little Learners, by Patricia Richardson Mattozzi (titles include “Angels”, “Heaven”, and “Prayer”. Biblical concepts should be a natural part of daily conversations. If we are aware of the presence of the Lord in our daily lives, we should share this awareness with our children. Simple comments like those below are key to bringing our children into an awareness of the power of God, how to please God, how important prayer is, and so on. Talk to your children about spiritual matters on a daily basis! I hope this series of posts has been helpful and encouraging to you. As I said, I will be sharing more of my thoughts shortly. In the meantime, may the Lord bless you and yours!! PLEASE take the time to read the articles below. They are so important!! Christian Child Training Versus Free-Will by Barbara Frank. © 2010, 2014 Susan Lemons all rights reserved. Portions of this post were taken from Homepreschool and Beyond, used with permission. We need to admit that we can’t be good examples in our own strength. We have to rely on the Holy Spirit to lead us, guide us, and help us. So we can’t be good examples for our children unless we abide in Christ. One resource that has helped me tremendously in this area is the Christian classic, Practicing the Presence of God by Brother Lawrence. You can even get it for FREE on your Kindle! In this book, Brother Lawrence talks about how, no matter what he is doing, a part of him can be (no, IS) in the presence of God, and how the presence of God changes everything! It even makes doing the dishes a blessing. When we are conscious of the fact that we are continually in His presence, it changes how we talk to people, react to people (often with prayer instead of anger), and most importantly, how we think. One idea that can help us with this is to set some type of alarm (on a watch, perhaps?) for every 15 or 30 minutes, just to remind us to think about God and the fact that He is with us. Then, we can pray and thank Him for that. It is certain that the Lord is calling us to (greater) holiness. The Lord Jesus Christ wants true disciples who follow His example. No compromise. No shades of grey. No syncretism (mixing Christianity with contradictory beliefs or actions.) Are you willing to give up whatever has been holding you back from living the kind of life you should? Whatever part of YOU that you aren’t willing to totally give to God? What do you need to give up/change/start doing/surrender and submit to God in order to live in holiness? The Word of God: Our children need to be saturated in the Word of God. In order to do this, we also need to be saturated in the Word. This is the only way to grow, to Abide in the Lord, and His Word. To do this, obviously, we need to spend time in God’s Word daily. It is easy to let this go in favor of extra sleep, more time to work, or simply being too busy. But I’ve discovered the hard way that when I don’t spend the time I need to spend in the Word (and in prayer and worship), several things happen: I’m not abiding in the Lord as well as I should be, so I start to be crabby, selfish, depressed, and…well…carnal. The old man starts to win out. OR, I begin to feel spiritually “off”, or even find myself in spiritual oppression/warfare. Satan loves to attack us when we’re down, and when we don’t spend time in the Word, we’re down…we have opened ourselves up to attack. Don’t give the devil an opportunity!! Another point: If we aren’t in the Word, it is really difficult for us to answer our children’s questions about the Word, God, salvation, etc. We need to be growing ever stronger and more mature in the Lord, so that we can answer our children’s questions about God!! I have to admit, this is still something that I am working on. I’m in the Word almost every day now…I still have occasional days when I slip up. I try to do my devotional times first thing in the morning. I highly recommend the “Lord” series by Kay Arthur. Buy the CD’s or MP3’s that go with them, or join a group study. I’ve especially enjoyed Lord, Heal My Hurts, Lord, is it Warfare? Teach Me to Stand, and Lord, I Want to Know You. Psalms 119:105; Psalms 118:1, Psalm 147:1. You could also start with scripture memory books, designed just for preschoolers, and memorize one Bible verse for each letter of the alphabet. Scripture Memory Fellowship offers a nice one designed especially for two and three year-olds (along with lots of other topical booklets with Bible verses to memorize, for all ages,) or you can print up your own memory verse cards for FREE from Homeschool Creations. Another option that is especially good for 4-6 year olds is Susan Hunt’s book, My A, B, C Bible Verses: Hiding God’s Word in Little Hearts. This book has a devotional and a memory verse for each letter (if I remember correctly, I had to self-edit a little of the devotionals to align them with our doctrinal beliefs, so you might want to pre-read the devotions before reading them to your kids.) This book contains slightly longer verses, for kids who have already had some experience with memory work. As your children get older, move them up to longer verses, such as Psalms 34:13; James 1:19-20; Phil. 2:14; Romans 12:21; Psalms 56:3-4; Proverbs 20:11. Once your children reach second or third grade, you can also memorize the books of the Bible, the twenty-third Psalm, Psalm 100, the Apostle’s Creed, or even whole chapters of the Bible. Psalms and Ephesians are especially good for this. A daily devotional time with your children is an important component of teaching your children Biblical concepts, as is praying together, taking our children to church regularly, and simply talking to our children about spiritual matters. Some families have their devotionals together first thing in the morning; others at night. If possible, dads should lead the devotions (in our home, Dad is going to start reading the chapter of Proverbs that corresponds to the day of the week every night.) Young children need spiritual input from both their mothers and their fathers. A daily devotional does not have to be long; for preschoolers, 10-20 minutes is more than enough. This is what we do: We start by gathering in a comfortable place, such as a living or family room with a comfy couch. When our children were young, we’d start by singing active Sunday School-type songs, to get the wiggles out. Next, we’d sing a hymn or two. We concentrate on one or two hymns at a time, and start with just learning the first verse and the chorus. Hymns are important because they are filled with scripture (they can help with memorization) and doctrine. They are a spiritual heritage that I don’t want my children to miss out on, even though our church does “modern” worship almost exclusively. If you learn the hymns, the Lord will bring them into your mind to help, comfort, and encourage you when you are down…IF you know them. (NOTE: You can also buy more “modern” versions of hymns, sung by many of the popular contemporary Christian singers, if you want to. We have CD’s of hymns done by Amy Grant, for example.) We also sing some of the praise songs that we hear on the radio (we like K-LOVE) or that we sing in church. After this, we work on our Bible memory work, and finally, we read together. What we read depends on our children’s ages, listening abilities, and spiritual understanding. When our children were little, we’d read a short Bible story. As they get older, we move up to longer stories, and later, we read both stories and devotional books. Finally, we move up to reading the Bible itself. Next post: What to read for daily devotions, final tips about teaching Bible, and things we must not overlook. It used to be, back in the “early days” of our homeschooling (1990’s), almost all homeschoolers were Christians, and almost all were homeschooling primarily for religious reasons. It was almost a foregone conclusion. Not so any more. Homeschooling has become more acceptable, more “mainstream”, and the movement has become very diverse (which is a good thing.) Even Christian homeschooling families often start homeschooling with other priorities in mind (academics, as a reaction to problems in public schools, family issues, developmental/learning issues, and more.) But whenever I meet a Christian homeschooler, I always try to encourage them to redirect their focus, and “make the main thing the main thing.” And the “main thing” is always God. The main reason we choose to homeschool is NOT because of curriculum problems in the public schools, common core, bullies, learning issues, or any of the PLETHORIA of reasons that many families become initially interested in homeschooling (even though these are all great reasons to homeschool.) We homeschool for eternity. Our most important goals are related to helping our children grow strong, personal relationships with God. So how do we do that? First, I will present some challenging questions for you to ponder, and then, some specific goals and examples of “how” we do it. There are two main ways we can help our children develop close, personal relationships with God: Through example and through purposeful teaching. *Through example: This is the hardest, but perhaps the most important way to help our children grow close relationships with God. The importance of parental example cannot be overemphasized. “Do as I say, but not as I do” just doesn’t cut it. We need to become aware of the fact that we are teaching our children all the time, whether or not we are aware of it. What have you been teaching today? Questions to ask yourself: Do your children see you studying God’s Word consistently? Do they see you praying? Is your first course of action in case of emergency prayer? Have you ever stopped what you are doing and prayed when an ambulance or fire truck streaks by with its lights flashing? Do you pray together regularly as a family? Do you spend time praying for your children and their future spouses? Do you attend church regularly, and take your children with you? Do your children see you giving yourself over to worship, and enjoying it? Do you serve others in love? And, hardest of all, do you live out the fruits of the spirit in your home-in your life? Is it obvious to others that you are a new creation in Christ? Are you growing in holiness? Does in show in your speech (what you say and don’t say), and in what you watch (or don’t watch) on television? In short, are you growing as a Christian? *Through teaching: Do you dedicate the time you should to teaching your children about the Lord, or is teaching them their colors or learning the alphabet more important? Yes, those things are important, at the proper time. But have they become more important than God is in your home? Which do you devote more time to? Does the topic of “God” come up in casual conversation in your house? Do you have a daily devotional/Bible reading time with your children as part of your homeschool? Do you encourage your children, once they can read, to start the habit of having their own devotions daily? How are your daily devotions going? Do you skip them in favor of getting breakfast made or the laundry started? Do you teach your children to memorize scripture? Do you memorize scripture? Think on these challenging questions, and hang on for part two and three in a few days. Did you know that there is a “Homepreschool and Beyond” Facebook Group? If you have younger children (especially preschool through grade three) and are trying to “live the 4R’s” (relationship, routine, readiness and reading aloud) in your homepreschool/homeschool….OR, if you a “thinking about” homeschooling/homepreschooling, please join us! The purpose of the group is to provide information, support, and encouragement to families like you!! We have 99 members now, and are trying to get more than 100. Won’t you join us HERE?! 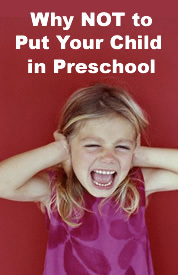 Is your homeschool (OR homepreschool) being held hostage by the expectations of others? Sometimes it sure feels that way. This is the question Heidi St. John tackles in this wonderful article I just discovered. I really needed this article today. I sometimes feel I’m “held hostage” to the expectations of the next few years…we are starting junior high again next fall. Lots more writing and heavy “academics” are expected. What about you? One thing this article says is that we should be free NOT to do preschool. Hmm. I always enjoyed the preschool years, and it was always fun to me. But how has it been for you? Do you feel you have to “prove” yourself, and the value of homeschooling, to your extended family? Does that take away your joy? Does planning activity after activity wear you out? Do you feel pressured academically about preschool and Kindergarten? Please. Don’t. Go. There. You have so many years ahead of you. It will all be covered, in time. Do you have young children, and yet are already worried about “how in the world will I teach Algebra?” Don’t. Go. There. God will provide a way!! It’s OK to let your little ones be little, and enjoy them at the age they are at right now. It’s OK to let them spend the day playing. Please, DO. I would much rather see parents swing the pendulum towards “no preschool” than swing it towards an academic-type homepreschool: Worksheets, two or three years of “alphabet” type activities and so on are not what preschoolers need! Remember, they will pick up those preschool “facts” (A,B,C’s, numbers, colors, shapes, and so on) simply through good parenting, if you trust them to do so. And if they haven’t learned all their “preschool” facts before Kindergarten, then teach them to them in Kindergarten! Remember, as homeschoolers, we don’t have to make our preschoolers “ready” for Kindergarten. Instead, we can make our Kindergarten ready for them! Remember not to overlook the forest for the trees. Remember WHY you are homeschooling/homepreschooling. I hope that it is for spiritual reasons. What is really most important at this age? The 4R’s: Relationship, Routine, Readiness, and Reading aloud. Throw in lots of play, art, and music and you’ve got it covered. Really. Trust me on this!! If you need a refresher, please revisit my tabs (above), and explore the articles on “readiness” in the archives. You also might want to take a moment to read the “Goals for the Balanced Mom”. But for now, PLEASE take a moment to read this fantastic article (linked above). Think about it, and pray about it. Then ask God what priorities HE would ask of you for this year. What should your children be learning this year? How should you teach it (what methods should you use?) Ask for a bold vision, and then when it is given, don’t be afraid to obey God and follow his vision…no matter what that vision may be. It may have to do with academics. It may have nothing to do with academics. Most likely, it will have to do with building relationships with God and family, teaching morals and character, learning to love those basic Bible stories, being consistent and intentional, growing your patience, spending more time in the Word and in prayer as a family, and so on. If it really is our priority to build strong, loving relationships with our children, that priority should be reflected in our behavior as well. Specifically, it should be reflected in the amount and type of time we spend with our children. Children need both quality and quantity time. Quality time involves more than just our presence—a warm body alone is not enough. (Too often we are “with” our children without paying any real attention to them.) Instead, our relationship-building efforts should be concentrated in several specific areas: Building quality conversations (which is a two way street, involving listening and speaking), time spent playing together (which lets us into their imaginary world), and time spent reading aloud to our children. Reading aloud to our children is one of the most important ways to build relationships with them, and also, help them learn. Here are some ways to build relationships with our children—and help our children build close relationships with God. ~Spend quality time with your children. Be fully engaged: Not half-listening while you are updating your status on Facebook, watching television, or talking on the phone. In fact, limiting your screen time will do a lot to help you build relationships. But take it even further: Limit your children’s “screen time”, too. Even having the television on in the background has been proven to be detrimental to young children. In truth, the television (and even those special “educational” programs and DVD’s) is not good for young children. They are not what they need. Nothing can replace face-to-face interaction with real people. ~Spend time talking to your children. Have real conversations, which involve listening and talking—a back-and-forth proposition. Let them tell you about their latest toy, art project, or whatever. Even if you really could care less about it, act as if you do care, and make yourself listen attentively. Pray and ask God to help you care. God cares about even the smallest detail of our lives. We should care about our children in the same way. Set aside time for talking with your children, and take advantage of the time that happens naturally, during your normal daily routine–dinner time and bedtime are wonderful opportunities to connect with your children, no matter their age. ~Play with your children. The window of opportunity is small! Soon enough your children won’t be as open to this. While they are young, children welcome their parents into their pretend world. This not only helps you build closeness with your child, but helps you understand their thought processes, too. Often children’s play reveals a lot about how they feel, what has been bothering them, and so on. ~Play games with your children! Begin to teach your children to play games (not computer or video games, but board games and card games) when they are three and a half or four years old. You can introduce the “rules” gradually, if you want to; you can even use small treats as counters, if you want to. The key is: Make it fun! ~Reading aloud to your children: Reading aloud is a natural bonding time. Pick a classic picture book, get comfy, cuddle, and read!! Allow your children to participate in the reading by chiming in with repetitive pages, pointing to the pictures, and so on. Allow them to ask questions, and take the time to answer them….in other words, pay attention to them! Don’t just rush through the book as if reading is a chore to be done as quickly as possible. Suggested book: I Love You Forever, by Robert Munsch. ~Use a gentle, loving touch: Touch communicates so much. A touch of the hand, the ruffling of the hair, holding hands, cuddling…all of these communicate love. ~Make holidays special: Keeping family traditions gives children security, draws us closer to each other, and bonds our family together in a distinct unit. Many of the holidays also gives us the opportunity to share our faith with our children. ~In summary, the key to developing close relationships with our children is three-fold: love, conversation, and time. Let your little ones be strongly attached to you. Don’t rush preschoolers into premature independence through a lack of the time and security that you can provide. Let them know you love them. Set aside/plan special time to spend with them. Talk to the all the time, and let them talk too: Really listen. Be there for them. Give them the security of knowing they can count on you to care for them, no matter what. These simple things are all you need to help you grow close, loving relationships with your children. © 2014 Susan Lemons all rights reserved. Copyrighted materials may not be re-distributed or re-posted without express permission from the author. Short quotes that link back to this site are OK. I want to invite you to join me and my Facebook friends by joining our group, “Homepreschool and Beyond.” The purpose of the group is to share information and support with those families who are trying to live out the 4R’s, as listed in my book: Relationship, Routine, Readiness, and Reading Aloud. It is aimed at parents of younger children (preschoolers through third grade or so), but everyone is welcome. It is a place where I can answer your questions and share ideas, links, and more. Please join us! If you need to know more, please check out the tabs above on the 4R’s. And keep your eyes open for new posts about the 4R’s, coming soon! Homeschool Parents: Are You Worried About What Your Children Are Missing? What we worry about as homeschooling’s greatest weakness is actually homeschooling’s greatest strength. Home educators have the unique opportunity to “civilize” their own children through training, teaching social skills, and real-world socialization with people of all ages and races. Children develop true, lasting friendships with children from like-minded families. Park days, field trips, and church activities—rounded out with work and service opportunities—provide ample, POSITIVE social interactions. The artificial world of a classroom, where children are all the same age and all do the same things at the same time, cannot compare to the real world of home, work, and family. If you are still worried about the things your children might “miss” if you homeschool them, consider the list below. The religion of secular humanism and other new age philosophies. Peer pressure (pressure to “conform” to group norms in order to “fit in”). Peer dependency (relying on peers for love, support and advice instead of relying on parents). Sexual harassment, bullies, gangs and drugs. The fear (and reality) of school shootings and other violence—fights, bomb threats, gang fights, school lockdowns, police chases, and so on. Catching (frequent) illnesses, diseases and head lice. Being taught the test, and then promptly forgetting it. Being or becoming unwilling or unable to speak to or relate to anyone who is not their age or in the same grade. Not knowing who your teacher will be the next year, or who your classmates will be. Being away from your family all day. Having separate lives from your own siblings; growing apart from them.
. Having to send your child to a school nurse if s/he is having an asthma attack or needs an Advil. Getting arrested for bringing nail clippers to school. Enduring a year with a teacher who can’t teach. Hours of homework each night, leaving no family time. Growing up too fast, but never really growing up. The systematic undermining of parental authority, teachings and beliefs. To obey the Lord. Since we believe the Lord has called our family to homeschool, and that the scriptures command parents to teach their own children, we homeschool to obey the Lord2. We want our children to grow up to be Christians, and not stray from our faith/morals. We want our children to receive a Christian education and develop a Christian world-view. We want them to learn truth, and use the Word of God as the ultimate standard for truth. We want to protect our children from immoral and ungodly influences, especially before they are old enough to learn discernment. We want our children to learn to stand up (and speak up) for their beliefs. We want our children to develop Godly morals, habits, and character traits. We want our children to enjoy an old fashioned, traditional childhood. We seek to preserve innocence and imagination for as long as possible, and provide plenty of time for play. We want our children to know how to read, write, and do arithmetic. We want our children to love to read, and to be read to (for longer and longer periods of time) daily. We want to help our children prepare for real life, have real-life experiences, and develop real life-skills. We want our children to develop discernment regarding dress, music, literature, friends, politics, religion and morals. We want our children to be independent and critical thinkers. We want to expose our children to the best in art, music, and literature…and we want them to appreciate/enjoy art, music, and literature! We want our children to grow up without becoming a part of the rebellious teen sub-culture. We want to be our children’s culture. We love our children and want them to be with us. We enjoy their company. We like being able to tailor our school schedule to fit into our family’s schedules, sick days and vacation times. We want to socialize (or civilize) our children ourselves, instead of letting them be “socialized” by their secular, untrained, and often unsupervised schoolmates. We want to know who our children’s teachers are every year. So that we can encourage our children’s interests, bents, and hobbies (these often turn into careers. We want our children to develop true, deep, and long-lasting friendships with people of all ages and races, based on common beliefs and interests (not simply “you’re my friend because you sit next to me in class.) We enjoy socializing with other FAMILIES, not just having our children socialize with other CHILDREN. To promote sibling love and bonding: we want our children to be each other’s best friends. Because we want our children to homeschool our grandchildren. Because God gave these children to us. We are responsible for them. They are under our authority, not the governments. 27. So that we can “do school” in our jammies or sweats. 29. So that we can “do school” via fabulous fieldtrips (A.K.A. family trips/vacations OR support group fieldtrips), when the opportunities arise. 30. So that we can provide our children with lots of hands-on learning. Read these lists over when you are feeling discouraged, overwhelmed or inadequate. Remember, if God calls you to homeschool, HE will give you the abilities and self-discipline you need to carry it out. Be assured, you HAVE made the right decision. Your children aren’t missing anything God ever intended them to have. © 2010, 2013 Susan Lemons all rights reserved. Taken from Homepreschool and Beyond, used with permission. Wow, time has really gotten away from me this year. How can it possibly be so close to Christmas already? I have to admit, I’ve had a hard time “getting started” on Christmas this year–and here it is, almost upon us. But I’m determined to get lots of “fun stuff” done in the time remaining!! © 2012 Susan Lemons all rights reserved. Copyrighted materials may not be re-distributed or re-posted without express permission from the author. Two year olds: This year marks a transition from toddlerhood to childhood. Imaginative play will blossom for your child this year; his thinking and speaking skills will grow in amazing ways as well. Be sure to choose toys that encourage this: Play phones, dolls, play kitchens, blocks, cars, and so on. Duplo- sized Legos are also great for imaginative play, as well as building hand strength and dexterity. Favorite toys at this age: Fisher-Price Little People sets, (these will be favorite for a couple of years), stack and nest cups or blocks, knob puzzles, and beads to string. Two-year-olds need plenty of time to play outside as well—sand play, tricycles, and swing sets are popular, along with play props like balls, hoops, etc. Occasionally, bring inside toys outside to renew your child’s interest in them. (NOTE: Supervise your two-year old when s/he is outside at all times! Some two year olds still like to eat or throw sand–and two year olds are notorious for climbing where they shouldn’t. Your child’s daily routine should be expanded again to include music (listening, rhythm band and singing), finger plays, and art experiences: painting with watercolors or tempera paint, and simple craft projects using paste or glue. A collage is a great way to start. Many two year olds don’t seem to stop moving from morning till night. They need our help to calm themselves. Music and reading aloud do this beautifully. Be sure to plan some read aloud times—at least once mid-morning, after lunch/before nap, and again before bed. Throughout the day, alternate boisterous activities with quiet ones like reading or play dough. This helps keep your child from getting overtired, and keeps emotions on an even keel. Three and four year olds: Your child is officially a “preschooler”! But that doesn’t mean he’s ready to be drilled on his colors, numbers, or alphabet. Instead, help him learn those “preschool facts” through play and reading aloud. Continue to talk, talk, talk to your preschooler, naming everything you see, and explaining everything you do. This grows his vocabulary and his understanding. Children this age are ready for short “preschool” schedules of their own. ” Preschool” at homel doesn’t need to take longer than an hour or two, and can be interspersed between your older children’s school work. Include Bible stories/devotions, calendar, music, finger-plays, and story time daily; try to provide an art experience at least three days a week. You can also explore cooking and baking activities and simple science experiments once in a while. Begin memory work with your child if you haven’t already. Simply repeating scriptures to your child over and over or listening to scripture memory songs will produce quick memorization in most children this age. We often practiced our memory verses in the bathtub, where I had a captive audience. Introduce your child to (safety) scissors and pencils, pens, and felt-tipped pens if you haven’t already, and begin to leave age appropriate art materials out for him to use whenever he wants to. The added blessing of these activities is that they can keep your child entertained for long periods of time while you school your older children. Preschoolers also enjoy more complicated puzzles, games, and imaginary play. If you haven’t introduced prop boxes yet, now is a great time to do so! Prop boxes are easy to put together from household items, and really do encourage imaginary play. As promised, I am continuing my series on providing the best for our youngest children. Today we will tackle the needs of young children from 9-12 months, 12- 18 months, and 18-24 months. The next post will cover three, four and five year-olds. Remember, it is assumed that you are continuing what started at infancy–and at each stage before, as appropriate: Working to build a close relationship with your baby, teaching your baby about the Lord, praying for and with your baby, playing with your baby, reading to him, singing and talking to him, and so on. This post is simply meant to help you see what is going on with your baby, and how you can optimize their development at each stage. 9-12 months: Crawling, cruising, walking, climbing–perhaps even talking! Baby is learning or doing something new every day…often something that will amaze you. Be sure to keep a close eye on your baby. This is difficult, since we all have to go to the bathroom sometime! I warn you because this is the age when you are likely to walk into a room only to find your baby perched on top of the piano, as my mother did with me. Try to keep your baby interested in the things you want her to explore. Set toys out on your coffee table so that baby can cruise around the table and play with toys from a new perspective. Babies love push and pull toys at this age—these toys help them with their balance and teach them cause and effect, as well. Try pulling the cushions off your couch and making a “baby obstacle course”—or putting blankets over a table to make a tent. At this age, my babies loved push-along walkers like these. They also loved things that go: Balls, cars, etc. There is never a dull moment at this age, to be sure, but your baby will never be more fun, either!! Some parents discover that this age is the real start of the “terrible twos”, and also, of a need for (gentle, but firm) discipline. Now is the time to begin to teach your baby to come when called, and to respond to the words “stop” and “no,” if you haven’t already. Thank-goodness toddlers are still easy to pick up and carry away from the carnage, when necessary. Your baby is learning lots of new skills and wants to try them out–sometimes in inappropriate ways. Additionally, you should know that some babies have the tendency to concentrate so intently on their emerging skills that other skills are put on the back burner for a while. 18-24 months: Baby’s daily routine is changing, sometimes day by day. Some babies this age are ready to give up their morning nap. Your baby’s daily routine can now be expanded to include first art experiences. Start by finger painting with pudding in the high chair and then introduce fat crayons, play dough, stickers, etc. Watch carefully that your baby doesn’t eat the art supplies! Music is very important for toddlers. Play classical music quietly in the background during playtime, and be sure to introduce children’s music by artists such as Raffi (the Singable Songs for the Very Young collection is a great choice), Linda Arnold (Bathtime Magic is my favorite—and yes, we’d play it during bath time! ), Parachute Express, or the Wee Sing Series (especially Wee Sing and Play), if you haven’t already. Sing to your toddler in the bathtub (“I’m gonna wash that dirt right outta your hair” from the movie South Pacific) and during your daily routine (“This is the way we wash our hands”, and so on.) Check out a whole day’s worth of singing ideas at This Reading Mama. Every summer, homeschooling parents spend hours pouring over catalogs and planning their children’s next school year and curriculum. We lay out schedules, set goals, and most importantly, pray over our children’s lives and needs. I can’t help but wonder: Do we spend half as much time planning for the needs of our babies, toddlers and preschoolers? Don’t they deserve some planning time, too? Even though it is a good idea to spend some time planning for them, babies, toddlers and preschoolers don’t need an academically-based “curriculum” (even though they are being offered nowadays!) Work books and flash cards are not appropriate; their best curriculum is life. But the types of learning experiences they need are unique, and not always accomplished without some thought and planning. So here are some thoughts to help you plan for your baby/toddlers needs, age-by-age. 0-3 months: The goal of baby’s development at this age is simple: bonding with family and growing secure in the love and consistent care he receives. Additionally, to boost brain development, babies need to be read to, sung to, and talked to. Most of all, babies need to be immersed scriptures, praise songs and prayer. Babies (and toddlers) are unique in that while they require their own daily “lessons” about life, the truth is, they often become the lesson for the rest of the family. They teach our older children patience and selflessness–how to put another’s needs above their own. They teach them to be loving and gentle with those who are young and fragile. Homeschooling with a baby in tow is exhausting, but it can be done! Plan to take advantage of baby’s nap-times for your older children’s school work. We always saved mid-morning nap-time for phonics, math, and other subjects that require intensive “mommy-time”. Consider streamlining your school time for a season. After all, you need your rest, too! Alternate science with history or geography, or simply read aloud to your children to cover those topics. Try doing only four “formal” subjects a day: Bible, math, language arts, and a unit study (reading aloud about history or science.) In addition, be sure to incorporate art and music into your daily routine, via free-choice activities or planned activities—at least two or three days a week. 3-6 months—continue as before AND: Babies at this age are learning to control their bodies. Now that their eyes can focus at longer distances, they are becoming more interested in their environments. God designed babies to be especially interested in faces. 3-6 month-olds need opportunities to strengthen their muscles and take in the world from new perspectives. Make sure to give you baby plenty of “floor time”—time on the floor, on his belly. This gives him opportunities to strengthen his neck muscles, arm muscles, and back muscles. Before you know it, your baby will be rolling over, scooting, and then crawling everywhere. Expose your baby to different textures. Try laying baby on carpet, a soft blanket, or a smooth, cool parachute; lay baby on her back, on her belly, and on her side for a change of pace. Finally, be sure to take the time to enjoy your baby’s developing social skills. Respond to your baby’s coos, then wait for her to answer you—thus making your first conversations. Play tickle games, make faces at baby, and watch as baby learns to make them back at you. 6-9 months: Baby’s really on the move now! Rolling, scooting, or even crawling his way into trouble. If you want to school in relative peace, you’ll need to make liberal use of playpens or gates…and nap-time. We gated off half our house with an extra long gate, and closed doors to keep our babies where they needed to be. Make sure your house is “baby-proof”. We had to gate off our older children’s rooms so that the Legos and other toys with small parts were out of reach for baby. Increase the amount of time spent reading to baby, even if you only look at the pictures and talk to baby about them. And if you haven’t already, introduce your baby to classical music, folk music, and of course, praise music. Many babies will try to “dance” while cruising (holding onto a table for balance while trying out his wobbly legs) and some may even try to “sing”. My oldest would cry whenever there was a break between songs, then “dance” again once the music started back up! Let your older children take turns entertaining baby, and make sure they learn all the little baby songs and ditties you enjoy with baby, so that they can share them with their own children someday. (“X Marks the Spot”, The Wheels on the Bus (move baby’s arms or feet for the wipers, etc. ), Open Shut Them, Jesus Loves me, and so on. At this age, my kiddos loved their bouncy seat (the kind that hangs in a doorway.) The “jumparoo” looks like a good modern alternative. They also enjoyed sitting, propped up in their “Boppy”. Finally, a warning about television: Even if your baby is interested in the television, try to keep it off completely when s/he is in the room…even those videos designed for babies can’t compare to interaction with real people and real things. In fact, the American Academy of Pediatrics recommends that children under the age to two shouldn’t watch any television at all. Experts have linked television viewing to the development of ADHD, claiming it “rewires” children’s brains. Next post: Ages 9-12 months, 12-18 months, etc. Sorry I haven’t posted in such a long time! Life has been a little bit crazy around here. But I’m back, and hope to post more often, although I can no longer promise a post a week. I’m realizing that I’ve been spending too much time on the computer. Anyway–it’s summertime again, so I thought I’d brainstorm some activities that are inexpensive but will keep your kids busy and playing happily this summer. Some are for at home, and some are not, but I hope this list will inspire you to plan some fun for your kids this summer. Make the TV a special treat, not an everyday obession…save the movies for once or twice a week. Instead, have some fun with your kids!! *Go to your local furniture/appliance store and get a large box or refrigerator box; cut out a door and window/paint or color with felt-tipped pens; put pillows inside. After you’ve played “house” awhile, set up your house outside on the sidewalk. Draw ‘roads” with sidewalk chalk. Drive trikes on the road…you can be the police-lady. OR, make a whole town out of boxes; make stop-lights, too. *Read books about the ocean, then go to the ocean! *”Fish” inside with homemade “fishing” poles: tie yarn to a small stick or dowel; tie on a doughnut magnet; cut out “fish” from construction paper and put a paper clip on the fish’s mouth, then go fishing! *Play soccer and volleyball with a beach ball. Even babies love beach balls and can play soccer: Hold your baby under the arms, and help them “kick” the beach ball by swinging them towards it. *Set up a large plastic bin with water and water-toys outside. Sponges are fun, too. *Take your kids to vacation Bible school, or set up your own for the neighbor kids in your backyard. *Christmas in July: Make time for all those neat projects and crafts you never got to last year, or get a head-start on Christmas by making Christmas presents NOW. *Do “float or sink” experiments. Try to predict which items will float. *Have a game day: Learn a new board game or card game. Please share your ideas in the comments, and have fun this summer!! When I was a preschool teacher, I always felt that circle time was the highlight of the day. As a homepreschooling mom, that feeling intensified. It absolutely was the best part of our day–and still is. I’ve heard that some moms object to the words “circle time”…they prefer the words “lap-time” or “mommy time” instead. Whatever you call it, it’s tons of fun. What do we “do” during circle time? What makes circle time different from story time? To me, the difference is the fact that circle time includes more than just stories. Circle time traditionally includes various activities such as calendar, finger plays, music, and story time. 3. Bible story and/or devotional. 2. Have fun with finger plays, patriotic songs, folk songs, fun (active) Sunday school songs, silly songs, movement to music, rhythm band, and so on. This is so fun, and gets all their wiggles out before story time starts. “Short and sweet” is really the trick to keeping circle time fun—as is alternating the more active parts of circle time with the quiet ones. As an overall rule, it is better to leave your children wanting more versus frustrating them with too long of a circle time. Other ideas: Spice up your circle time with felt board activities/stories, Monkey Mitts, puppets, and other musical/finger play/musical props/learning props. After story time, we move on to the rest of our daily routine. -Remember to change your content according to the children’s abilities, attention span, and interests. -Parents of children who are in grades Kindergarten until grade three or so should recite the flag salute at some time during the morning. We chose to keep Bible first, since it is most important; we’d do the salutes and calendar right before our first “academic” subject of the day (math). Once they learned it, we discontinued it. -We still use the same basic structure during our second circle time, but we call it “unit study time” with our older kids. Our “unit study time” routine generally runs like this: Drills/recitation (we’re used ABeka’s bird, insect and plant cards to memorize the most common critters/flowers in our area; we’ve also learnied to recognize the major instruments in the orchestra by sight. Other times we’ve memorized the presidents in order or memorized the capitols.) Next is music/singing (once the kids are older it’s great fun to learn longer folk songs and rounds.) Afterward, we read aloud and discuss what we’ve read. -We usually save our second circle time until Bible, math, and language arts are completed for the day. -After our second circle time, we might work on a notebook page, a timeline card, an art project or a science/cooking experience that’s related to our unit, or we simply might be done for the day. I hope this gives you some ideas for circle time at your house! © 2010, 2012 Susan Lemons all rights reserved.